Dr. Radden is a fellowship trained orthopedic spine surgeon. A native of Southeastern Michigan, he attended Wayne State University, earning an undergraduate degree in biology and completed medical school at Michigan State University. 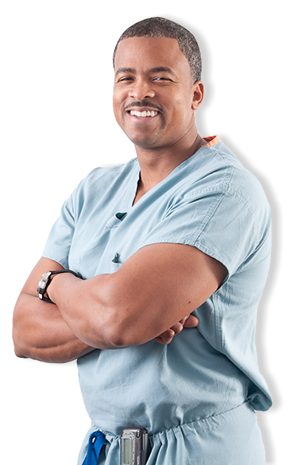 After receiving his Medical Degree, Dr. Radden completed his residency in orthopedic surgery at the University of Medicine and Dentistry of New Jersey, and an orthopedic/neurosurgery spine fellowship at Duke University, North Carolina. Dr. Radden joined a private practice in Michigan in 2006. In 2007, Dr. Radden established Spine Specialists of Michigan. In June 2011, Spine Specialists of Michigan moved to its current location at 32270 Telegraph Road., Suite 110, Bingham Farms. Spine Specialists of Michigan is a state-of-the-art, comprehensive spine center. Dr. Radden is an expert in the diagnosis and treatment of complex back and neck conditions and uses both surgical and non-surgical solutions to manage complex spinal problems. He is one of the few select surgeons in Michigan who perform minimally invasive spine surgery using the Mazor Robotics Renaissance Surgical Guidance System. Dr. Radden is also an expert in pain management and takes the conservative approach when treating chronic pain. Dr. Radden believes in patient centered care. He spends time with each patient to fully understand their symptoms and concerns before making a treatment plan. Dr. Radden places the highest priority on improving each patient’s quality of life and getting them back to a pain free lifestyle.